Last week, the preservation community lost a dear friend, passionate advocate, and dedicated partner, Pierre Andre Lablaude. Pierre Andre served as an architect and conservationist at spectacular sites around the world. His passion was Versailles, where he served as chief architect from 1990 until his retirement a few years ago, responsible for its buildings, gardens, and landscapes. World Monuments Fund had the privilege of meeting and working with Pierre Andre in the 1990s, during conservation work at the Potager du Roi and later at the Queen’s Theater and Belvedere. 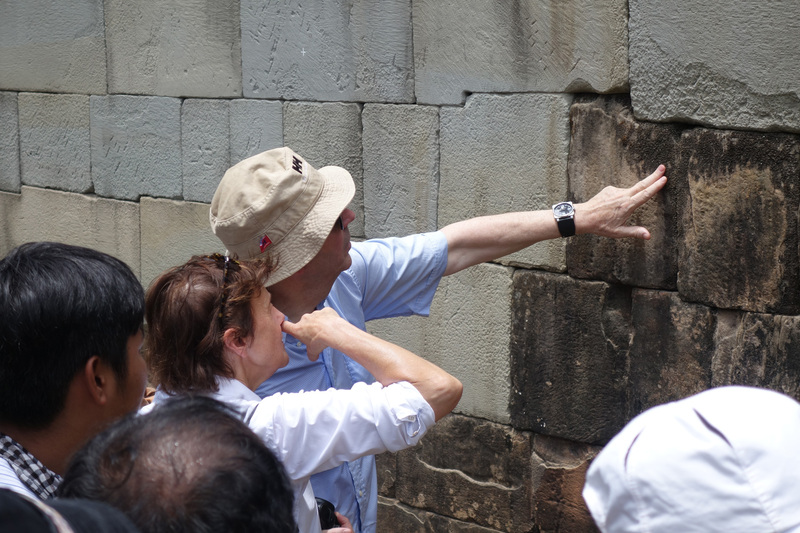 WMF also collaborated with Pierre Andre at the iconic temples of Angkor Archaeological Park in Cambodia, where his guidance as an Ad Hoc Expert for UNESCO’s International Coordinating Committee was invaluable. Andre was generous with his knowledge and patient with all those with whom he worked. He was an inveterate explorer of cultural heritage in its broadest sense, and it was magical to spend time with Pierre Andre and his wife, Colette di Matteo, in the field. Pierre Andre Lablaude was a wonderful colleague who will be missed greatly. I speak for all my colleagues at WMF when I say our lives were better for having had the chance to work with him and the pleasure of his company on so many occasions across nearly three decades.